But also 21 year old college seniors. 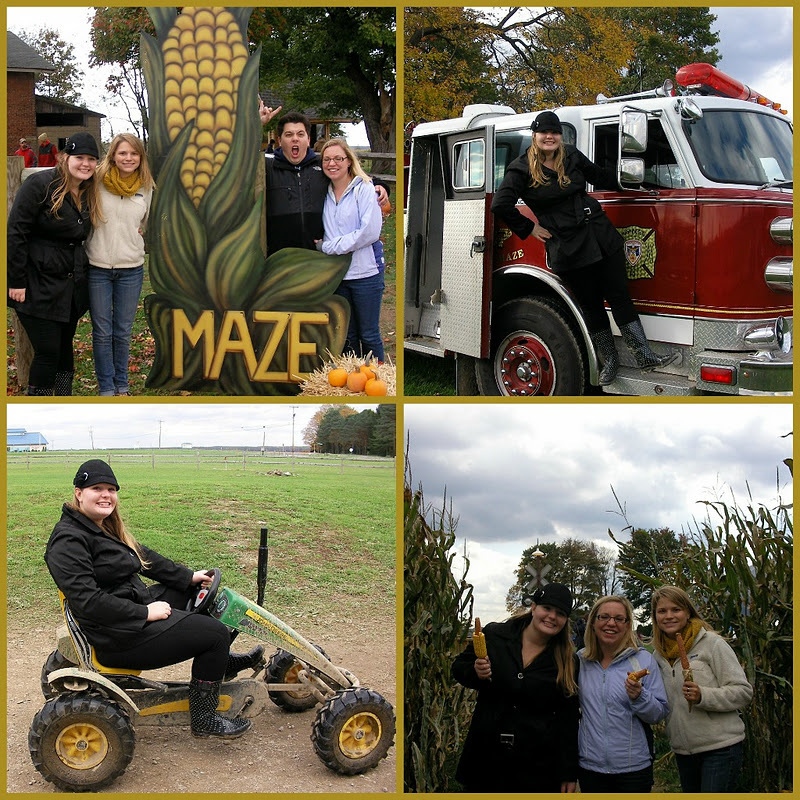 Peddle tractors, playing on fire trucks, sliding down slides in sacs, going for hayrides...ah. Fall is good. What is not good is midterms....all at once. Whew! But I'm done them now. I'll get back to some more crafty goodness later this week. Anyone go and doing anything fallish this weekend? Take the kids to a corn maze?? That seemed to be the thing to do this weekend up by my school....I had to fights off a bunch of 7-year-olds to get that peddle tractors. They are quite the hot commodity dontchaknow. I love the pumpkin patch!! We did fallish things last weekend. We went to the pumpkin patch and the kids had a great time.